Most people think of the Wells Fargo Championship as a snooty golf event for old, rich people. 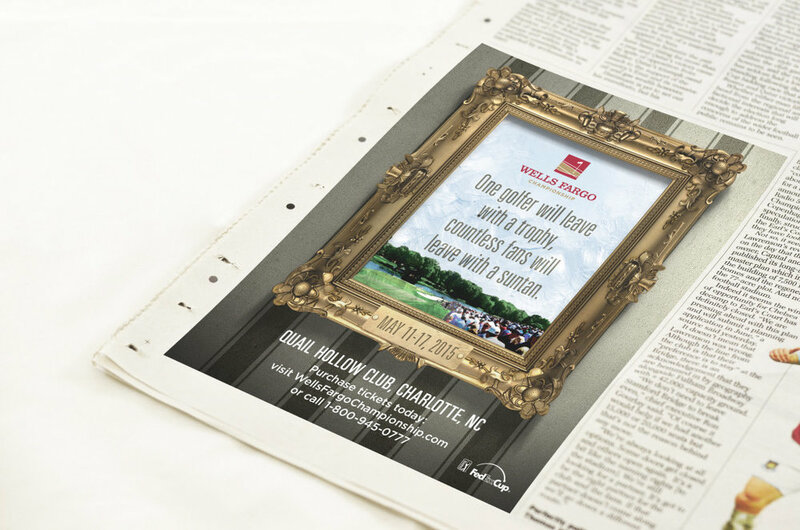 The campaign asks viewers to take a closer look at the Wells Fargo Championship. And if they take a closer look at our ornate frame, it’s actually constructed out of hotdogs, hamburgers, sunglasses, flip-flops, cocktails, as well as the Wells Fargo Championship trophy. We put our frame out on the course and people shared their photos with #WellsFargoChamp: Including the 2015 Wells Fargo Champ, Rory McIlroy. There were a few articles written about the campaign. Oh and that’s me below being a total fan girl taking a picture of Rory post-win.